We are now accepting reservations for this once a year event, so if you’ve been waiting for this announcement please contact us now to reserve your space. You may book online, call (800) 247-2387 or Live Chat with us during our fall office hours (10am to 4pm, Mon-Fri), or email us anytime at rivers@aorafting.com. 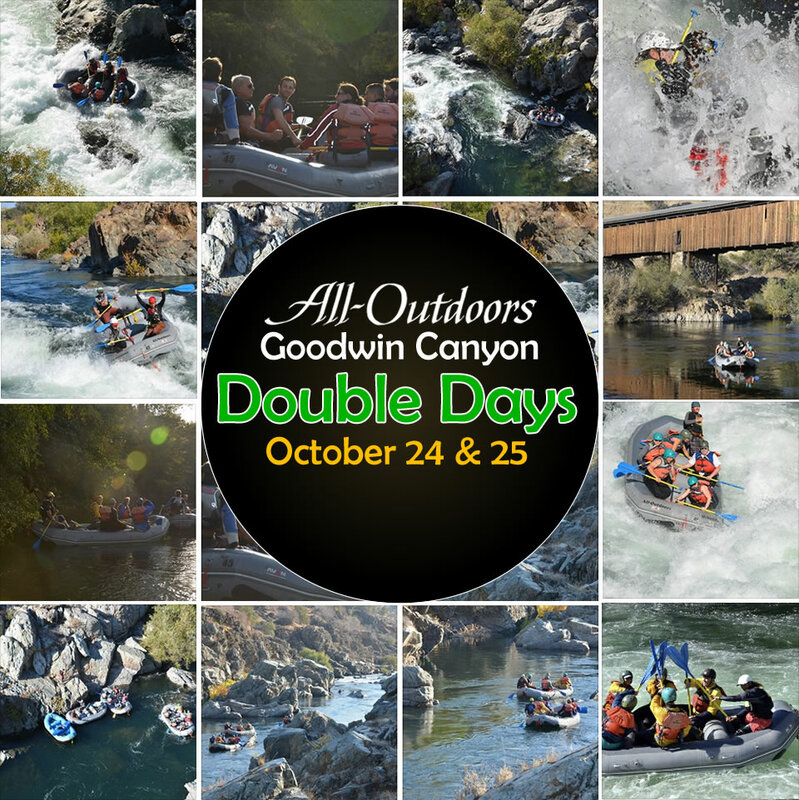 What is Goodwin Goodwin Canyon Double Days? Not in California. Fall rafting is beautiful. The soft lighting coupled with the colors of changing leaves make October one of the prettiest months of the year for rafting. Water releases from upstream reservoirs that are used to generate power also provide recreational boating opportunities to the public. 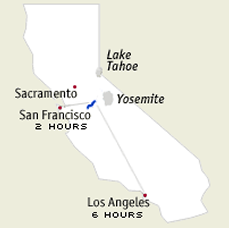 Even in a drought, we will be running trips every Saturday all the way to the end of October on the South Fork of the American River. The Middle Fork American rafting season is ending with one last trip on Saturday, September 26th. For further explanation of why rafting is possible in such a dry year, read our post When in Drought, There’s Still Water For Rafting!